The Lyman Gun Sight Company has been making tang sights since William Lyman perfected his design in 1878. Today, the family of brands has grown to include Pachmayr, TacStar, A-Zoom, Trius, Butch’s, and Targ Dots. They have long provided some of the best accessories for firearms and shooters, but now, they offer one fine-looking, limited edition Sharps Carbine in celebration of their years of business. Lyman has quietly gone about its quality business, building not lever actions, but tang sights. Though they have been known for darn fine sights, that’s not the star of the show today. 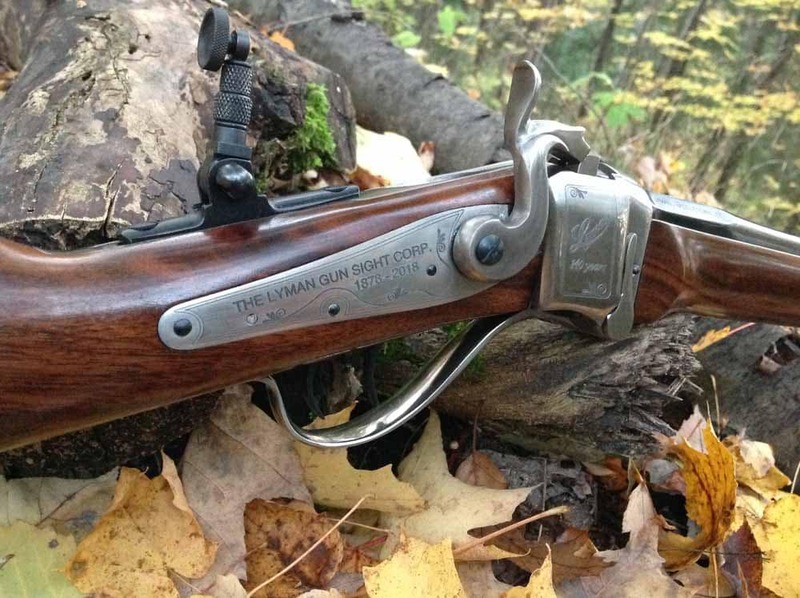 Flash forward 140 years and we have in our hands the Lyman Sharps 140th Anniversary Carbine. While the new Carbine is Lyman in idea and name, it’s handcrafted by Italian firearms manufacturer Davide Pedersoli. Make no mistake, the Lyman name has appeared on firearms in the past. A more traditional Sharps in .45-70 is Lyman’s Model of 1878, also built by Pedersoli. The new Carbine, however, is a scaled-down, lighter version of the original chambered in .30-30 Winchester. With a 24-inch barrel, the carbine length long gun weighs a stout 7 pounds. No surprise, the Carbine is equipped with a Lyman #2 tang sight, which comes with its own small hard case. The front sight is noteworthy as well, pivoting between a brass bladeor a globe-style with a center bead. Custom engraving on both sides of the receiver celebrating the 140th Anniversary rounds out the class package. For those unfamiliar with the design, a Sharps is a traditionally large-bore, falling block, single-shot rifle. Considered a cartridge rifle, the Sharps was one of the earliest successful metallic cartridge long guns. 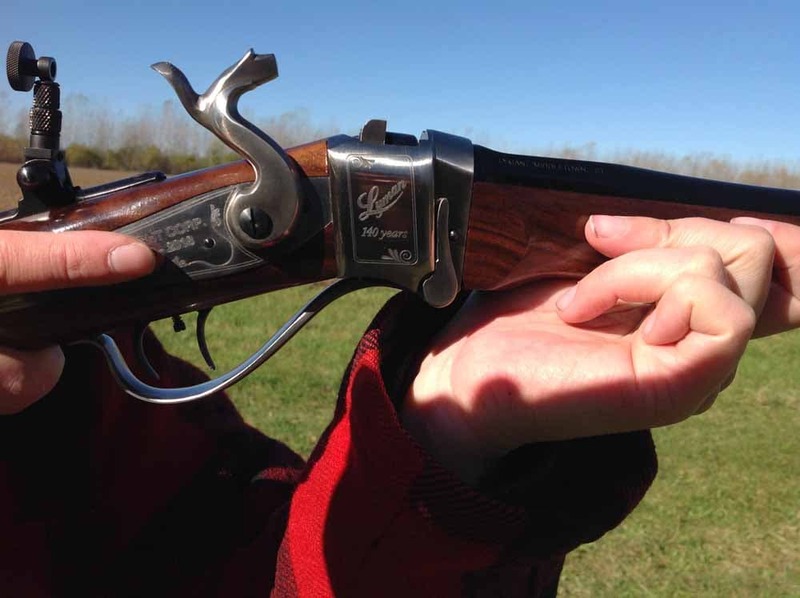 Firing a Sharps, whether old or new, one can’t help reminisce on the design’s long history from the American Civil War to the wild west and buffalo hunters. If that doesn’t trip your historical trigger, perhaps a studly Tom Selleck as Quigley Down Under will ring a bell with his Sharps. Though Lyman was an innovator in designing their Anniversary Carbine, builder Davide Pedersoli is certainly not new to the Sharps rifle market with seven Sharps variants currently catalogued. The set trigger on our test Carbine is a quality carry-over from other Pedersoli’s other models. The standard trigger broke at 3 pounds on a Lyman Digital Pull Gauge and an impressively clean 1.5 pounds when making use of the set trigger. The wood quality is above average, but not especially noteworthy for an anniversary edition, though it’s important to remember ours is a review sample and not a true production gun. The sleek silver finish is capped off with the polished buttplate, neatly engraved with the Lyman logo. Opting for a clean look, Lyman goes sans checkering or barrel band on the 140th Anniversary edition. While most folks will be buying this model as a collector, we cannot help but take ours to the range. With a mix of premium ammo, including Hornady LeveRevolution 140-grain MonoFlex, Hornady LeveRevolution 160-grain FTX, and Winchester Super-X 170-grain Power-Points, we fired from the bench and offhand at distances of 50, 100, and 200 yards. Though no one is overly concerned with in-depth accuracy testing on a limited run, collector-grade rifle, we couldn’t help ourselves. Coming from someone rather inexperienced with tang sight shooting, we still put together what we’d consider exceptional three-shot average groups of 1.2-inches at 100 yards and sub-two-inch groups at 200. Our best 100-yard group, fired with Hornady LeveRevolution 160-grain FTX, was 0.92 inches, all done with a considerable quartering headwind. Though the gun was not built to wow so much with accuracy as for collectability, the Sharps Carbine is a low-recoiling, smooth-handling reproduction that fires with reliability and precision. Though the gun is stunning, it’s not much use without Lyman’s included #2 tang sight. That exceptional sight ships with a hunting aperture in addition to the installed tighter target disc. 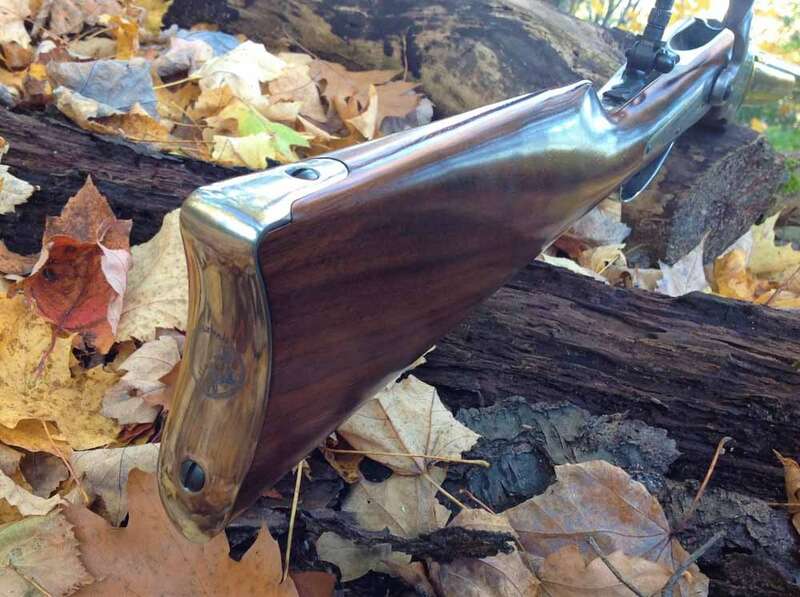 While many may consider it a travesty to hunt with a limited-edition rifle, we’d have no qualms about going afield with the Lyman Sharps Carbine with the hunting aperture in place. We also appreciated the dual-option front sight, which flips from a sharply pointed blade to a globe-and-bead. The receiver is built of one solid block of steel, all well-polished and finished with special anniversary engraving. The action is tight and feels well-built. 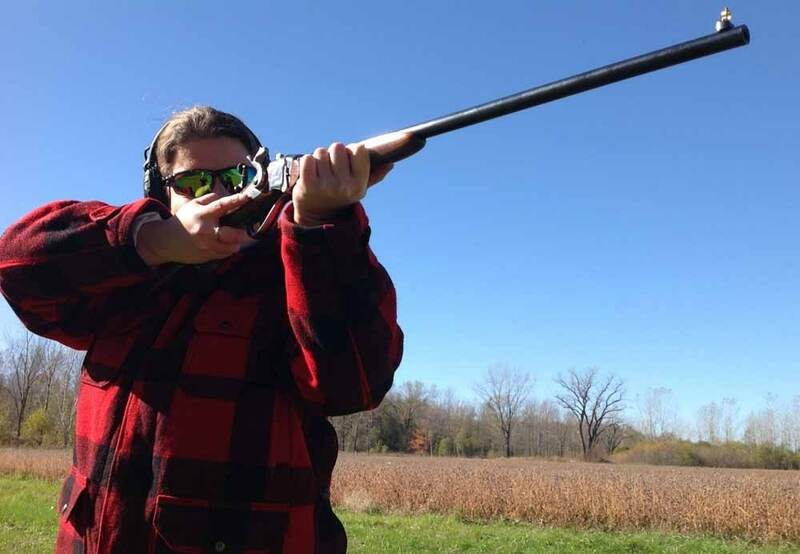 The gun is a pleasure to shoot, and at only seven pounds with a shorter-than-normal-Sharps barrel and slimmer build, partnered with the lighter .30-30 caliber, the Sharps is at home with large-frame-Quigley riflemen as it is with smaller-frame or recoil sensitive shooters. 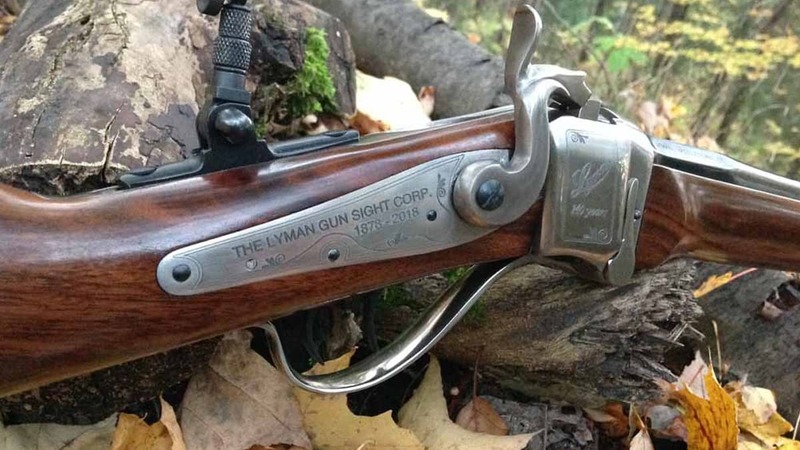 One needn’t be a Lyman fan-child – or even an aficionado of the finer art of tang sights – to appreciate the Lyman Sharps 140th Anniversary Carbine. It’s a fine, beautiful, and functional old-school Sharps Carbine that can hunt as well as it can target-shoot. This scaled-down version is smaller not only in size, but also caliber, while remaining big on features, quality, and accuracy. The Sharps Carbine comes packed in an unassuming cardboard box, along with the hard-sided sight box. MSRP on this collector-grade model is $1,995. At the time of publication, almost half of the 140 model numbers had already been sold. Those interested in ordering call the company directly and request any of the remaining serial numbers. Those who already own the 45-70 version will surely want to put their name on one of the 140 serial numbers.